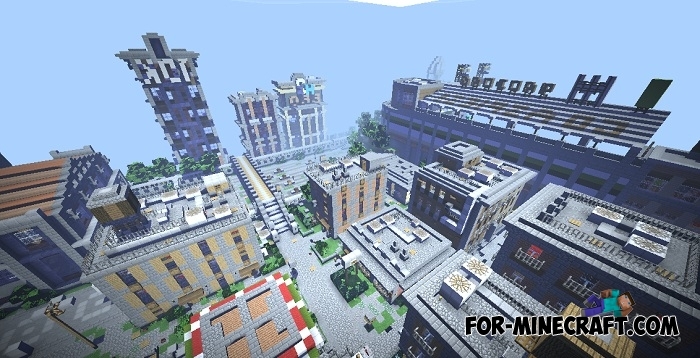 In front of you is a ported version of Broville which is currently included in the top 3 largest cities for Minecraft Bedrock. 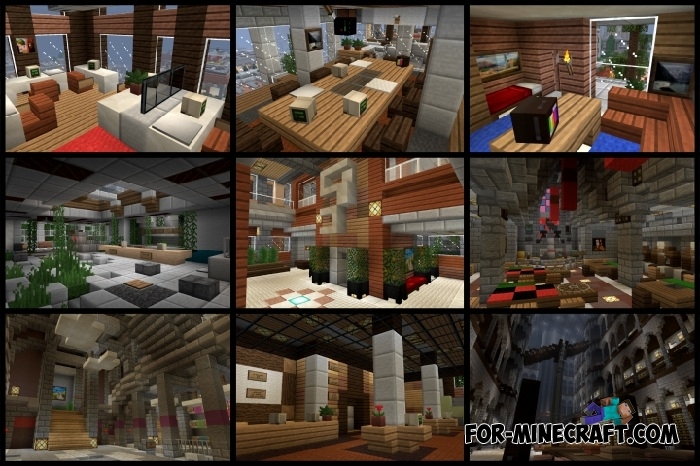 Initially Broville was built in Minecraft Java and collected many positive reviews. 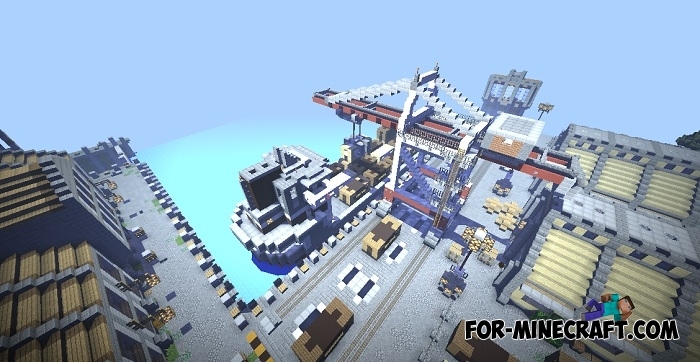 It's your turn to see and test the map. On some streets the houses are very tight. In addition to the inner part of the city, the creator took care of nature and built beautiful parks and natural structures. Walking along the avenue you will see different vehicles and street decorations. Do not sit at home and spend more time researching the entire map as there are a lot of interesting and fascinating places. Do not forget to visit a space platform and military facilities, as well as visit the highest building of Broville PE. Note: Map loading may take longer. Some blocks may not be displayed correctly, please report this. 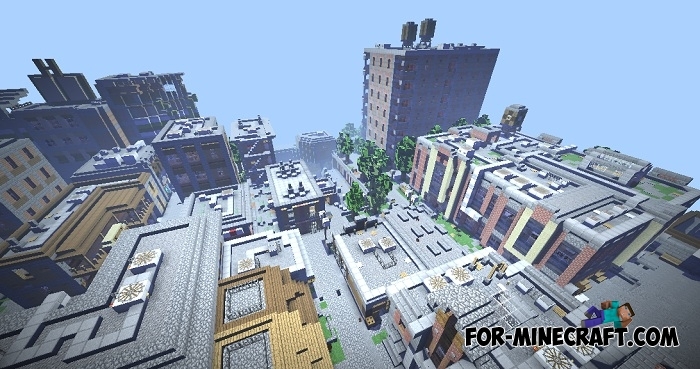 Ok I took a brief tour driving a horse through the main roads from spawn and back and it’s ok it does have that dense big city feel to it but I’m not a big fan of the scale and the main materials. First the scale the scale is rather small it’s one block it one lane of traffic but, you did do better than most maps at this scale but, it’s about the same scale as newisle. 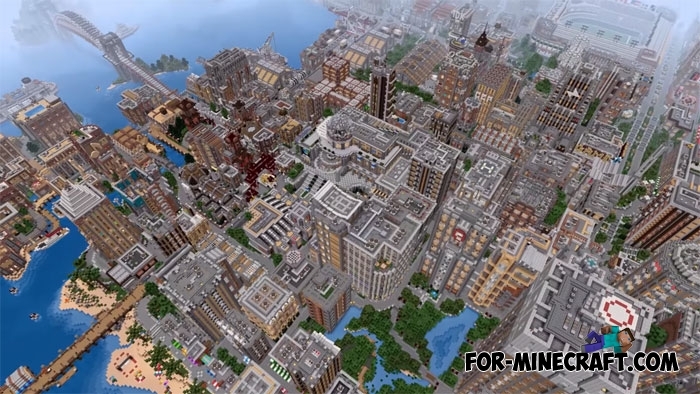 Second the materials this map has WAY to many wood and stone buildings throughout the map that is 90% of the city, it just doesn’t have enough color to it it’s just gray and brown. My third problem is that there isn’t much modern architecture in this map it seems like most of it is from 1850-1950. The only “modern” building that is noticeable is the BN tower, that it for modern stuff the rest is old buildings just like Detroit, ONE building from 2009, the rest from before 2000. Not a big fan because all the buildings look the same, wood and stone bricks and that makes it pretty boring AND NO STAINED GLASS SKYSCRAPERS WTF??!!!!!!!!?!?!? !